Kiosk Browsers Advanced menu has many additional features that enable you to control the behaviour of your device more strictly. Whilst these are extremely useful in most environments, some of these settings should only be changed by advanced users and could cause issues on a small number of devices. The Advanced menu can be found by navigating to Settings > Advanced. Hides dialogs such as long press power button etc. Hides dialogs when other UI elements are showing such as the enter password dialog box. Beware, some devices may behave oddly with this setting enabled and may hide the keyboard when attempting to enter the settings password. If your device is affected in this way you will need to factory reset the device (unless you can enter your password via the built in PIN pad). Automatically resizes the page when the keyboard is covering an input field. Enabling this settings requires a restart. Prevents the browser / web pages from displaying alert dialogs. 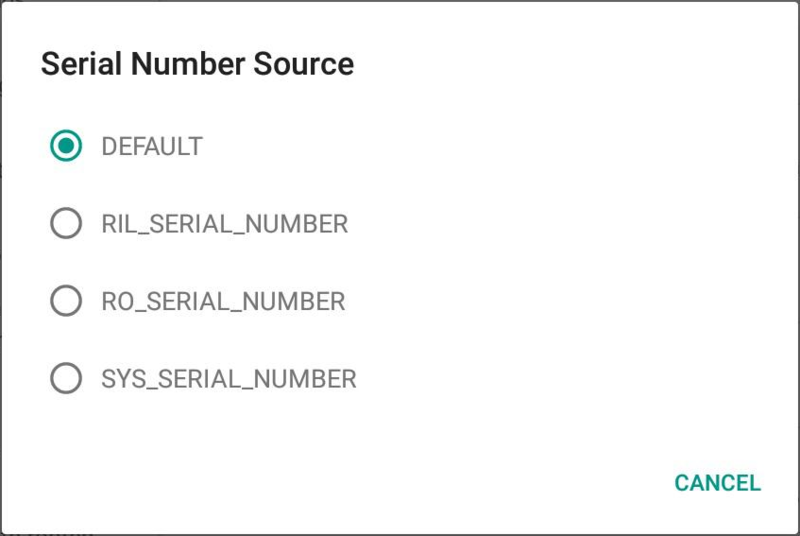 This mainly relates to Samsung devices that store the Serial Number in a different location on the device (see below image). This setting prevents any Google Play Services warnings/alerts from popping up, specifically for devices that don&apos;t have full Google Play support. Allows common authentication or social sharing popup windows to function, this setting should be used with caution in a live environment. The majority of the additional Advanced settings are relatively self-explanatory, however if you do require further guidance for any specific issues, please search the Help pages or contact us. Long pressing the CLR button within the settings password dialog box will reload the home page.